The PortServer TS2 H MEI makes it easy to connect 2 serial devices to your network, even in locations requiring extended operating ambient temperatures. It combines the inherent benefits of data networking with proven asynchronous connectivity to deliver powerful yet simple Ethernet connectivity for all your serial devices. 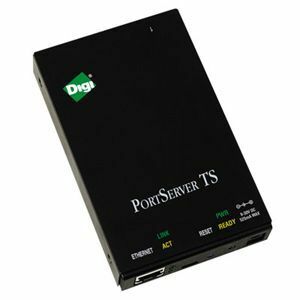 PortServer TS2 H MEI delivers universal, high performance serial-to-Ethernet connectivity and is ideal for applications requiring COM ports, serial tunneling, or where TCP or UDP socket functionality is needed.